Home / Stuff we make / Recycled climbing rope rug. This was a lovely commissioned piece and I really wanted to keep it, alas it is making itself cosy in front of the fire in its new home. the spec was for the rug to be reversible so if any embers escape and land it can be flipped over. After washing – we chose the colours of rope and cut to length, then pulled the nylon core from the middle. This means the sheath can be flattened. Pressed lengths are stitched together using a strong thread. The sections are laid out and measured, put in a pretty pattern, and straightened out. With all the pieces stitched together, we measured the correct dimensions (minus 8mm for the rope edging around the outside) and marked out. The rough edges were melted off using a soldering iron/ pyro pen. One final, long outer strand of rope was stitched around the edge to hide rough edges and give a nice border. Recycled rope rug – done! Testing it out before packing away to new owner. We liked it so much, we have another in the project box due to be listed on the website soon. 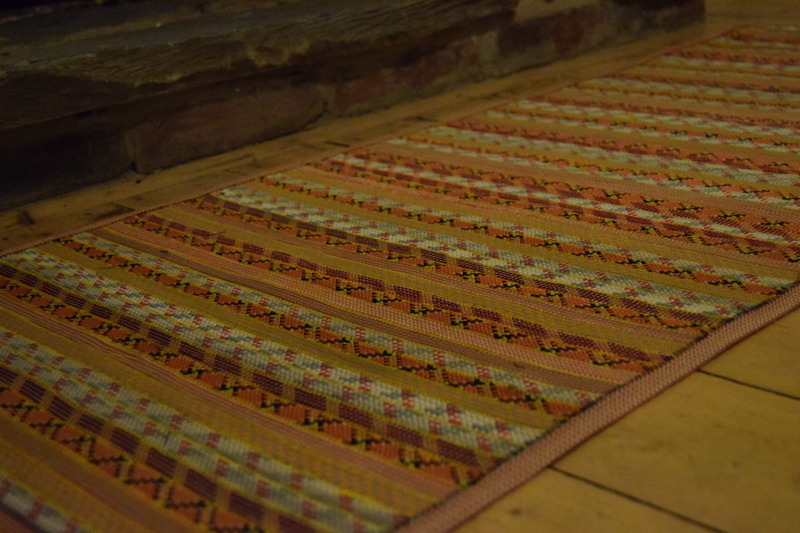 Would you like a custom rug made, either from your own rope – or select colours of ours? Contact us. Previous post: Dirtbag Diary: James – overcoming injury. Next post: St Bees Head: product test and photoshoot.